HISK, SINT-LUKAS BRUSSEL, SINT-LUCAS GENT, PHL LIMBURG (M.A.D. FACULTY). 4. dec. 2011. 3 p.m.
11. dec. 2011. 5 p.m.
12. dec. 2011. 7 p.m.
13. dec. 2011. 7 p.m. 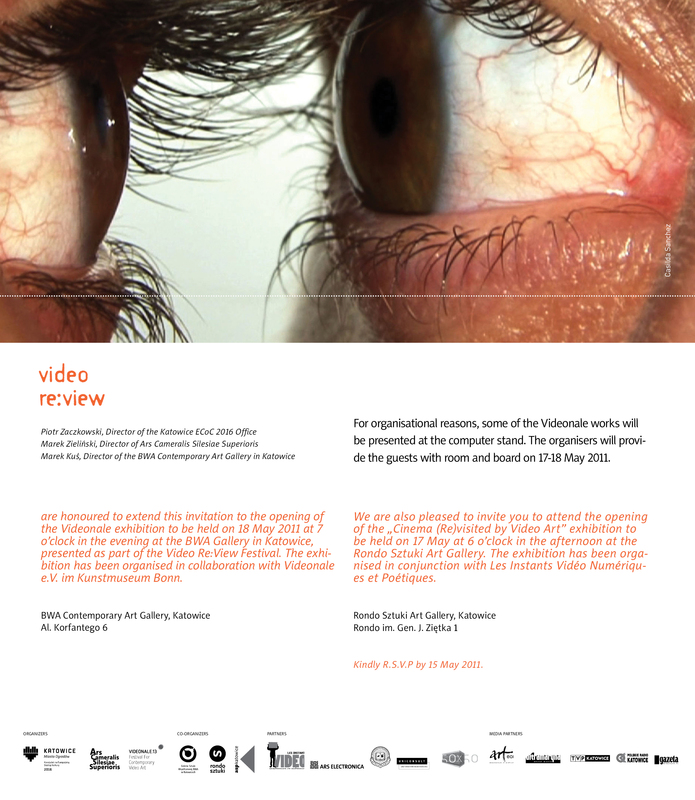 Collective exhibition of video art gathering arround 350 artists: this is a fragmentary panorama of a contemporary activity whose formal multiplicity and abundance coerce us into questioning the reality of what is “visual”, it’s temporality and it’s mobility. We have no other ambition here than to open up a crack in the video-graphic universe, to give a glimpse of the richness and multiplicity of form of the medium, with no attempt at extracting one or several tendencies that would serve to somehow refine an act of showing that intends to be purely “raw”. No subjects, no central questions, no techniques, no set time limit. The curatorial work functions by ricochet. The gallery invites numerous artistes and several curators, as each of the artists can invite another, who in turn can submit the work of a third artist, etc. 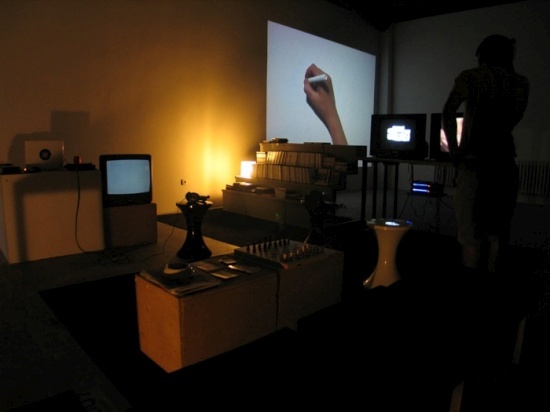 We present the Video-Salon Collection, a free and empirical principle of accumulation of works, to which the spontaneity of the presentation corresponds: cosy salons, free access to more than 400 videos, flat screens and DVD players. Curators Biog: Vladan Jeremic is artist and curator. He was born in 1975 in Belgrade, Serbia, where he lives and works. In his artistic practice he researches the intersection between contemporary art and social activism. Currently in the focus of his artistic research is the meaning of modernist urbanism today and the emerging social movements such as emancipatory movements of Roma in Europe. Jeremic holds MFA in Arts, graduated Interdisciplinary Master’s Studies at the University of Arts Belgrade. Since 2002 he works together with Rena Rädle as artist duo. They are founder of Biro Beograd, an association that gives platform for critical practice that steps beyond conventional forms of contemporary art, cultural and social research or activism. Vladan Jeremic was director of the Gallery DOB of the city’s cultural center in Belgrade from 2008 until 2009. He has curated more than thirty exhibitions in local and international Context and was one of the initiators of the project, “Call the Witness – 2nd Roma Pavilion” at the Venice Biennale 2011. He is co-author of the artworks within the collective Chto Delat? 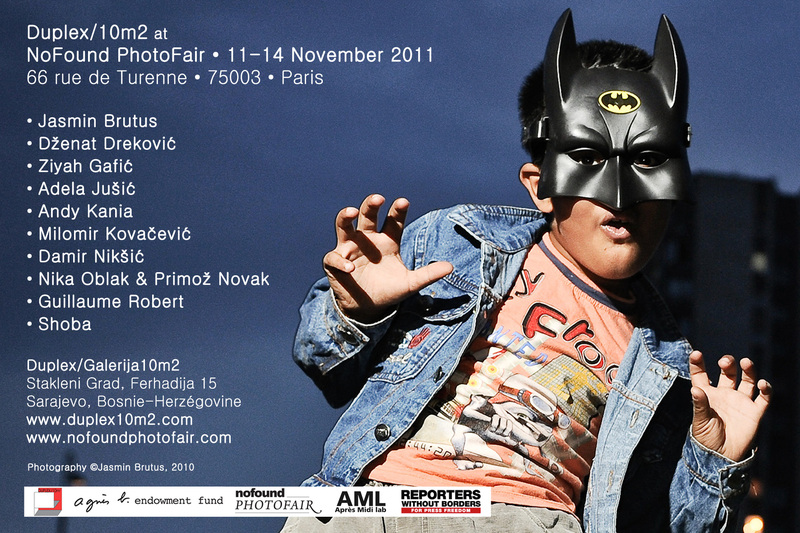 Vladan Jeremic had solo exhibitions in Belgrade, Paris, Hamburg, Helsinki, Trondheim, and Novi Sad, and many group exhibitions. His works are in the collection of MUDAM, Luxemburg, Van Abbe Museum, Eindhoven and Museum Reina Sofia, Madrid. 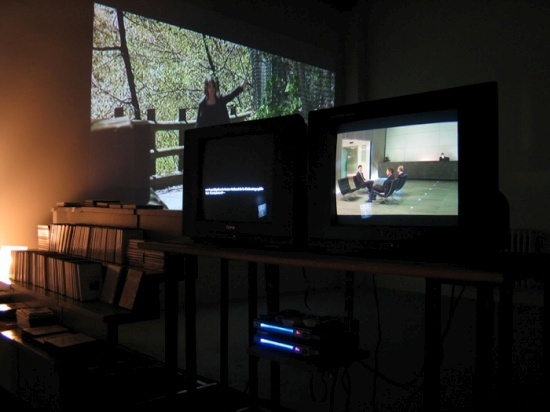 Vladan Jeremić will present a curators talk about the selected work for the evening’s screening programme. This fall we will open the first exhibition in Färgfabriken’s long-term commitment that we call “psychosis”. The Project is intended to illuminate the human psyche in various extreme states, both individually and collectively. It touches on areas such as political extremism, alternative social structures, perception and the individual’s relationship to his or her surroundings. We are interested in how these phenomena are expressed and interpreted in art, literature, and science. Psychosis is a global project. In a series of events, we will deal with aspects of the project theme. Starting September 17 2011, with the exhibition I will never talk about the war again* in cooperation with the Serbian curator Vladan Jeremic, with a catalog and a seminar, we approach the individual’s psyche in relation to society. 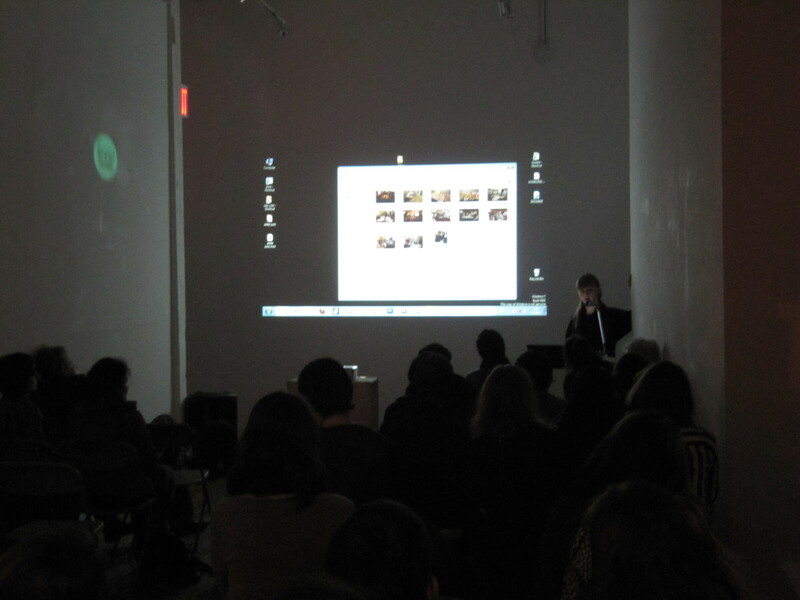 Subsequent events and themes will take place over several years, through exhibitions, publications, screenings, seminars, or combination thereof. 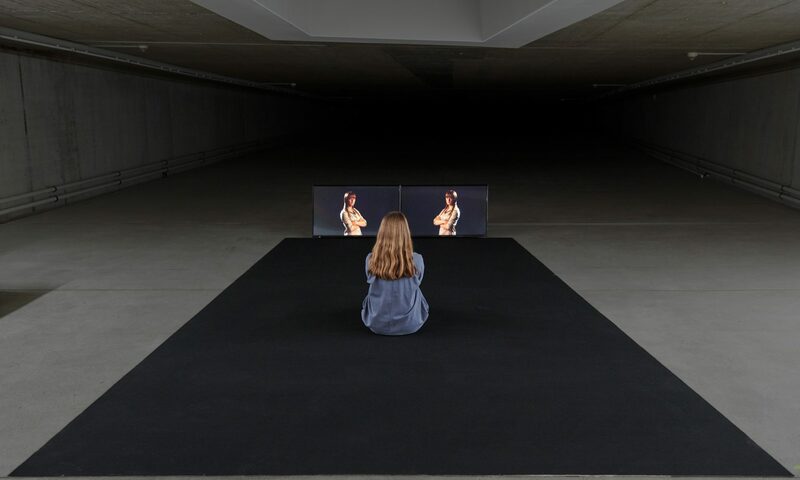 *The exhibition title is taken from two of the participating artists’, Lana Cmajcanin and Adela Jusic, video performance by the same name. 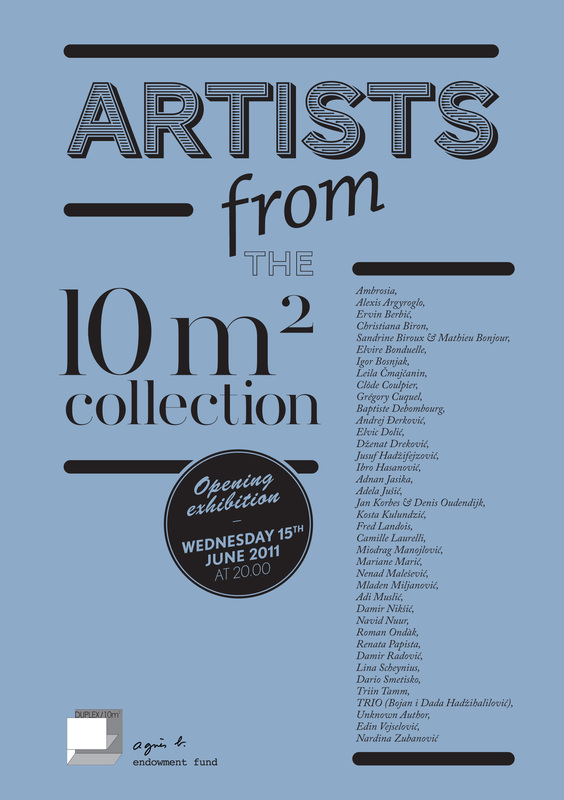 Artists: Adela Jušić / Lana Čmajčanin, Alban Muja, Bojan Fajfrić, Damir Radović, Igor Grubić, Hristina Ivanoska, Marc Schneider, Marijan Crtalić, Marcel Mališ, Monument Group, Nina Höchtl, Peter Mlakar / Laibach, Phil Collins, Sebastjan Leban / Staš Kleindienst, Vahida Ramujkić, Vesna Pavlović. Spaceship Yugoslavia–The Suspension of Time seeks to investigate the treatment of (post-) Yugoslav history from a contemporary perspective. The exhibition presents artistic projects as well as theoretical positions that highlight political and socio-economic aspects of the post-Yugoslav reality. It aims to strengthen and establish critical viewpoints on the various politics of the former Yugoslav nation states in the so-called transition to capitalism. Since the transformation of the European socialist state systems after 1989, the political positions of the post communist era have negated almost every facet of the previous system as part of a totalitarian entity in an effort to legitimize their own claims for freedom regarding ethnic identity and/or private ownership. By challenging such tendencies, the exhibition seeks to address the topic of a Socialist reality – often dismissed as “historical” – which allows the possibility of re-thinking and re-naming such reality as an alternative construction. “Evacuated” from the sphere of the private-personal, the topic will be analyzed within the context of concrete political developments such as the recent or future integration of the ex-Yugoslav states into the European Union. Beyond romanticizing retrospect or established (art-)historical positions of dissidence, the NGBK exhibition presents works predominantly by younger artists. The show aims to serve as a platform for self-initiated education and as a framework for reflection, within which a range of critical perspectives on the past and the present can become manifest. Spaceship Yugoslavia poses the question: in what way can this past be thought of and reflected on today, a past which for a younger generation is accessible only through the filter of an ideologically led public denial? To what extent could a recognition of this past possibly contribute to the conception of future realities without being caught up in nostalgia or revisionism? This question concerns more than the analysis of “historical reality” presented in former Yugoslavia today; it is also the Berlin context which lends itself to a renewed investigation into the narratives of the prevailing German unification discourse. Spaceship Yugoslavia–The Suspension of Time invites visitors to query normative narrations and to counter them by means of meticulous research and aesthetic examination. Opening of the exhibition on Thursday, June 30, at 7 p.m.
One of the fundamental questions of contemporary society is: what are the reasons for wars and could these last be prevented? Is this at all possible in a society with the existing political, economic and corporate relations of power and hierarchies which makes it a society of imposed imperial order? The exhibition Continuity deals with the questions of war, genocide and memory. Through artistic projects with a direct bearing on World War II, the Israeli-Palestinian conflict, the war in Iraq, Bosnia, Afghanistan and the World War II and Srebrenica genocides, the exhibition will try to point at the phenomenon of permanent global war, where peace is manifested only as an interim period between states of war. The war problematic will be tackled from many aspects: through research and reconstruction of traumatic events; through focusing on the consequences of war that have left their mark on the people, the landscape and the architecture; through exploring how history and conflictual situations are inscribed into a space, thus becoming part of its identity; through problematizing the media representation of war, and through testimonies and stories of the people who have been through war. By presenting different artistic strategies, the exhibition will speak about a society that, in full disregard of ethical principles, decides on the life and death of people, changing wars into a self-interested global enforcement of political goals by any means necessary, and covers up its responsibility for the destroyed lives – which concerns not only those involved, but also the others who collaborate in wars by trading in arms or in some other “invisible” way, supporting and legitimating wars to their own profit and political interests – in a political lie despite our knowing. The works of the thirteen artists presented at the exhibition will address the issue of the continuity and reality of wars, of their permanency, of the emergence of ever new crisis areas and conflicts, of the incomprehensibility of war and, last but not least, of the urgency of awareness and remembrance (in the 19th and 20th centuries, approx. 205 million people died as a result of war and genocide).